If you are looking to buy a flashlight that you’ll use on camping or hunting trips, hiking, or maybe to look for something you lost in the dark, there are many things you should know before deciding which type will best suit your needs. However, if you are looking for durability, performance and efficiency, titanium or stainless steel flashlight is what you want. Both titanium and stainless steel flashlights possesses high endurance and durability features that make them perfect for any occasion. Here are some of the features these flashlights offer over plastic and aluminum ones. 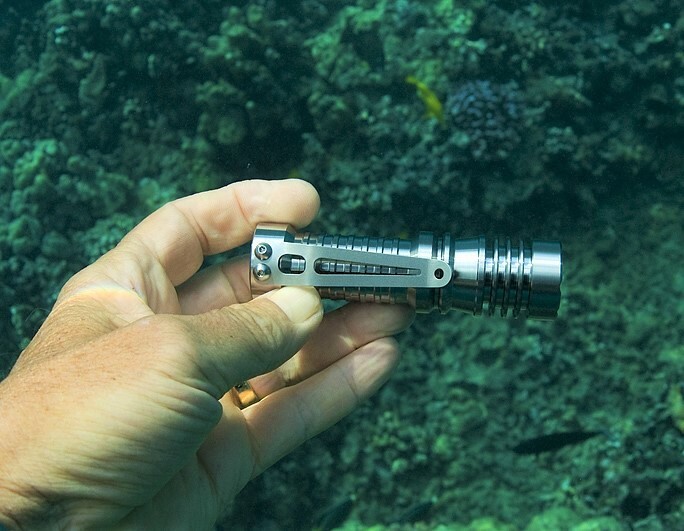 Stronger and More Durable – Most flashlights are made from aluminum or polymer, which can be great in their own way, but titanium outdoes them when it comes to strength and durability. A titanium or stainless steel flashlight can last for a lifetime. Other types of flashlights will get damaged more easily and break or malfunction after a few impacts or scratches. Titanium flashlights can withstand damage even if you accidentally drop them from your hand, and their LED bulb won’t burn out at drastic temperature changes. Long Term Investment – Even though it might be slightly more expansible than other flashlights, it will last you a very very long time. Same with the LED bulb inside of it. Traditional flashlights are made of polymer and aluminum which come with traditional lighting. Furthermore, titanium and stainless steel are rust and corrosion resistant materials unlike aluminum and plastic. Once you invest in a titanium or stainless steel flashlight, you’ll never have to buy another flashlight. Ever again. As light as a Feather – The titanium shell is light and you won’t feel a strain in your hands while carrying it. Most people that go hiking, camping or are on a search and rescue mission, need to carry a flashlight for extended periods of time. Titanium and stainless steel flashlights minimize the feeling of holding something heavy that will quickly tire your arms. These features make stainless steel and titanium flashlights superior to models made of different less resistant and durable materials. However, when you are buying a flashlight, you also need to consider how many lumens it can output, and the type of battery it uses. For some applications you will need less lumens, for others you might need much more. Do a thorough research online to ensure you get the flashlight with specifications that fit your needs and application. And as I previously mentioned, consider the type of batteries and whether they are rechargeable or not. Alkaline batteries can be great, but lithium are slightly better, hence come at a higher price.